Russell qualified from the University of Stellenbosch, South Africa in 1989 achieving a distinction in oral surgery, restorative and prosthodontic dentistry. Two years of national service in South Africa allowed him to further develop his interest in the placement and restoration of dental implants, which he continued in Private practice in South Africa. 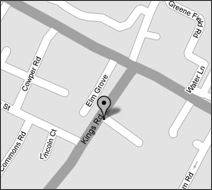 In 2000 he joined Kings Road Dental Practice as a general practitioner but he has also continued with his special interest in placement and restoration of implants. As a practice we are now perfectly placed to provide not only the surgical placement, but also the restorative element including crowns, bridges or implant retained dentures. Russell uses the very latest technology in all his treatment programmes. All under one roof. In 2007 he became a fellow of the International Congress of Oral Implantologists and in 2012 he earned ICOI mastership status. Russell’s practice protocol is based on discussion and communication with his patients of all dental treatment options available before deciding on the most suitable way forward. He works full time at the practice but does not consult on a Mondays. Away from dentistry Russell enjoys a round of golf and still manages an evening of football although his chances of a professional contract now seem slim!